Home » »Unlabelled » January 20th Rise Up Against Trump! 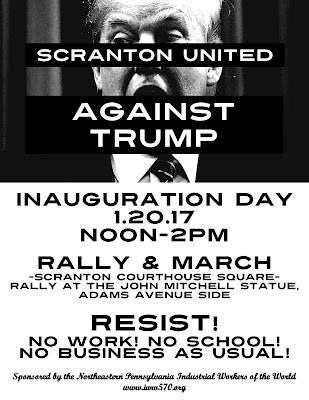 January 20th Rise Up Against Trump! No work. No school. No business as usual. Rise up against Trump! On January 20th 2017 Donald Trump and his reactionary cabal will take office. We must resist this dangerous regime. We have seen their values. They rose to power on a platform of hate and division. They will continue this as they take hold of every branch of the U.S. government. If history is any guide, we know that once they are fully in power they will go on the offensive. They will seek to silence all dissent. They will seek to continually divide us to make us fearful and weak. We are neither. We are united and strong. This is a struggle for the type of world in which we want to live - a struggle for humanity against barbarism. If we do not act now, it will be too late. If we let them take the reins of the state without any resistance they will think that they have won - that they have a mandate. They do not. We are the majority. We hold the greater power of collective resistance and collective solidarity. We are humanity. We will win! 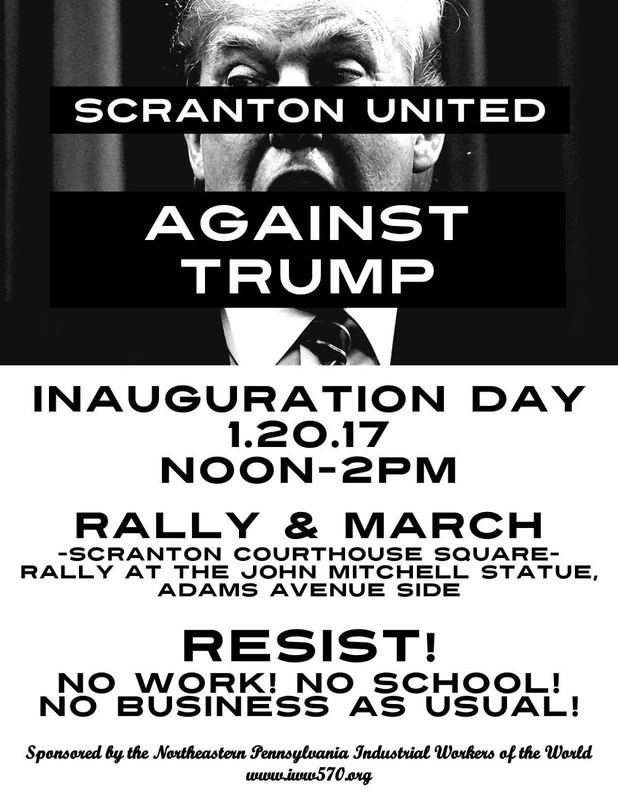 Join us for a rally and march at 12:00 noon at Courthouse square as we inaugurate our resistance. Yes to a united working class!